If the deals below are not enough, eBookBetty also has its regular Monthly Giveaway with $150 in Prizes and a $100 Amazon Shopping Spree! Choose some or all of these best selling books for your cozy reading nook or Christmas stocking. 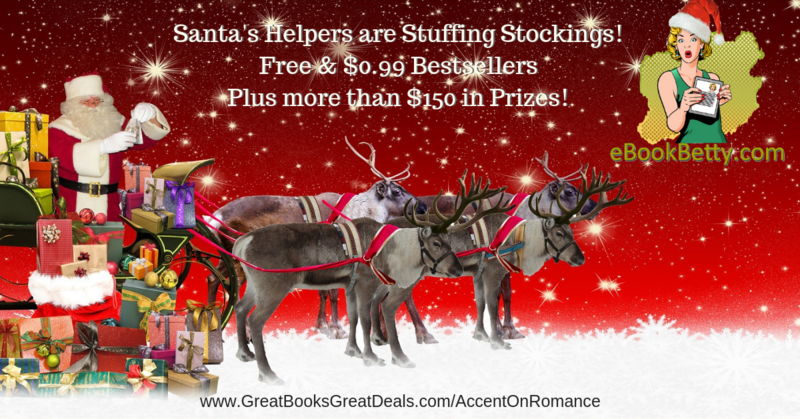 Some are FREE and 99c between December 17-21, 2018.